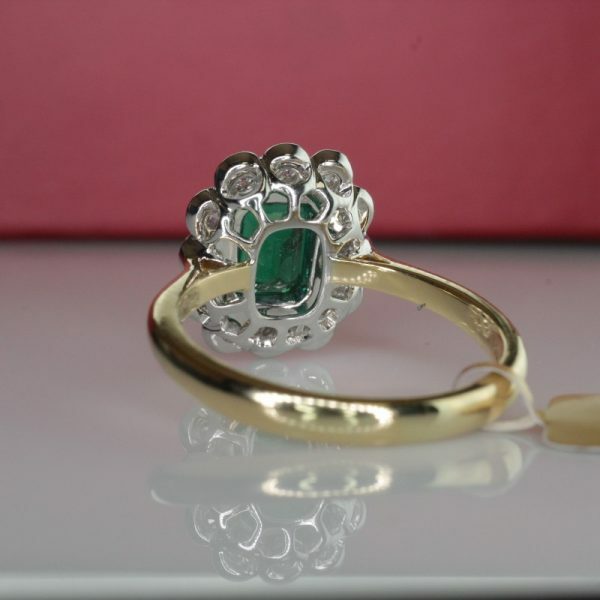 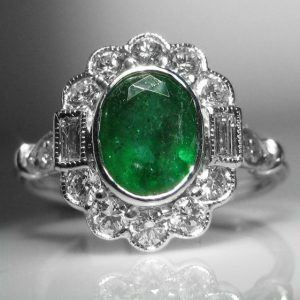 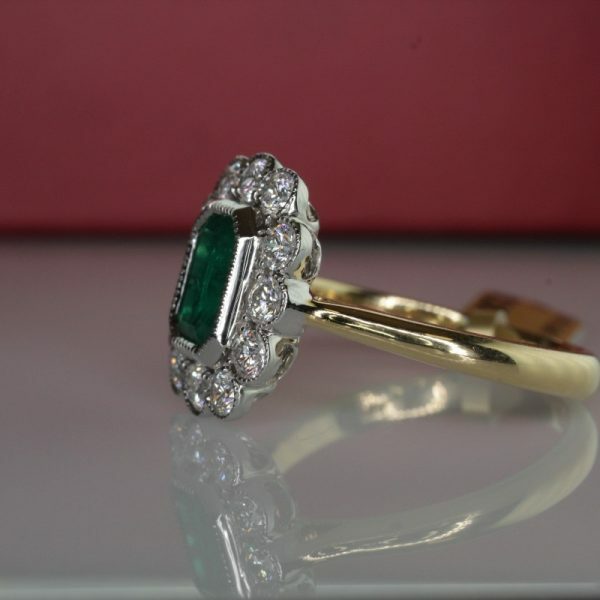 Emerald and diamond ring set in 18k yellow and white gold. 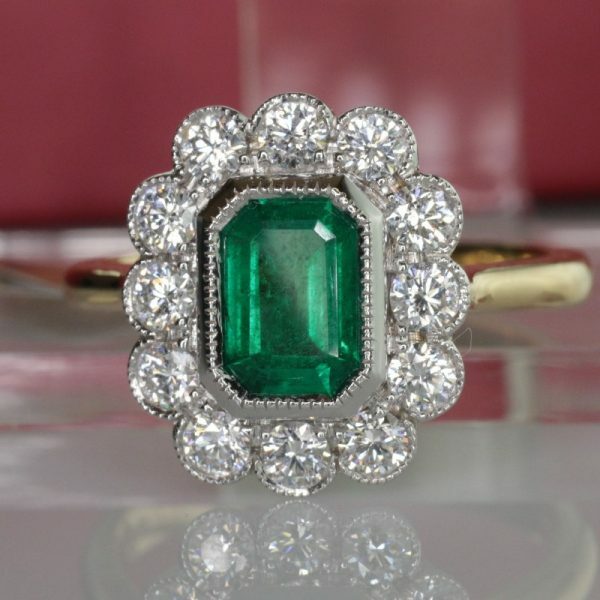 This beautiful ring features an emerald cut vivid green emerald surrounded by a halo of diamonds. 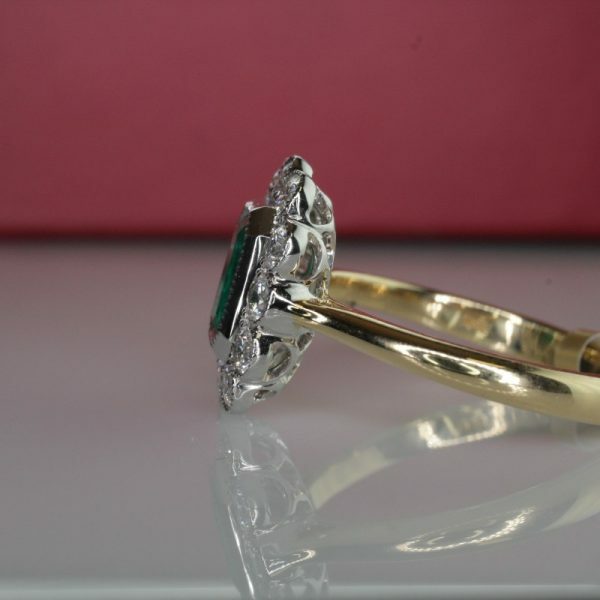 The emerald weighs 0.7cts and the total carat weight of diamond is 0.65 cts. 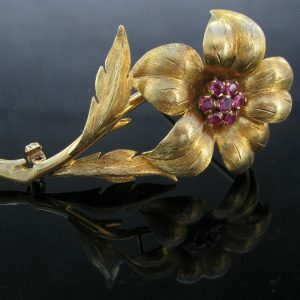 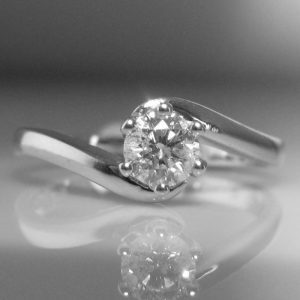 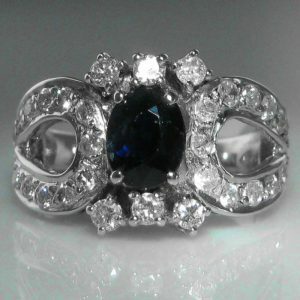 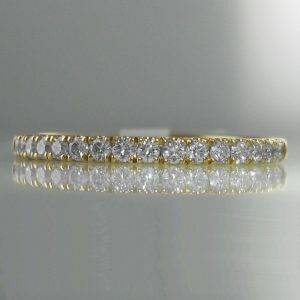 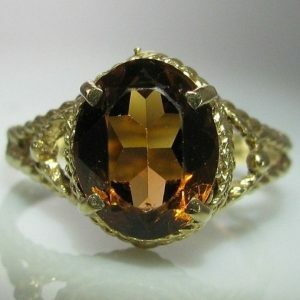 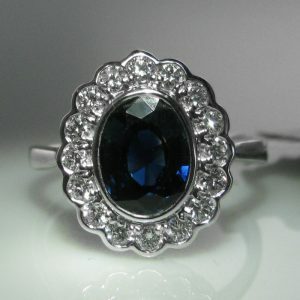 The ring is size N but can be resized up or down as required.